Miguel A. Villanueva is the most as soloist active flute player in Mexico. 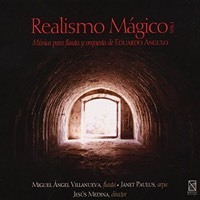 His recordings include the whole work for flute by the mexican composer Eduardo Angulo and Flute Concertos by Eugenio Toussaint, Horacio Uribe, Lucía Álvarez and many others. 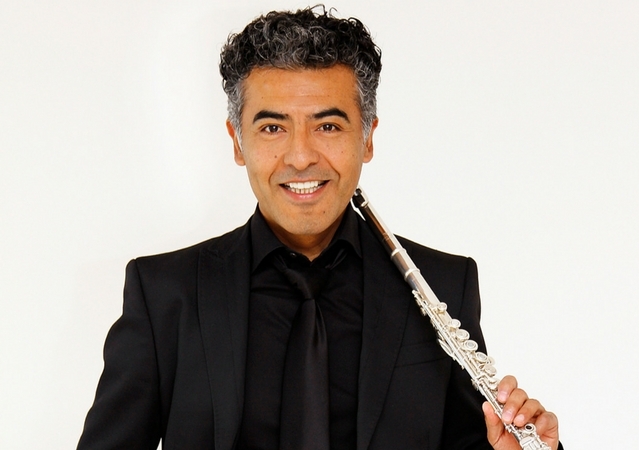 Besides his soloist career, he organizes the National Flute Festival and the National Flute Competition in Mexico City. Born in México City, he started his musical studies at the Escuela Nacional de Música (UNAM) with Roxana Lara and Héctor Jaramillo. In 1984 he enters the Ecole Normale de Musique de Paris and the Conservatoire National de Region de Saint-Maur, in Paris, France, where he is awarded a Diplome Superieur d’Excecution and Médaille d’Or respectively. His teachers were: Jacques Royer (Orchestre de Paris), Ida Ribera (J. P. Rampal’s assitent), Shigenori Kudo (International soloist) and Michel Moragues (Orchestre National de France). During his student years, he was awarded a First Prize at both the Nerini and Bellan Competitions in Paris; he also won a Third Prize atthe UFAM International Competition. He has been invited to perform as a soloist by the Münchener Streicher-Ensamble, the Orchestre de la Cité Universitaire and the most important orchestras in Mexico. He was invited by the Berliner – Mozart Ensemble to perform as principal flute during a European tour. As a recitalist, he has performed in México, France, England, Czech Republic, Germany, Ireland, Austria, Portugal, Canada and the USA. Mr. Villanueva holds a teaching position at the Escuela Nacional de Música at the National University of México (UNAM). 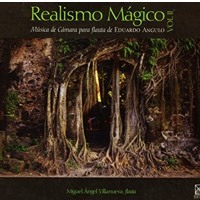 Following recordins are “Serenata” music for flute and guitar by Giuliani and Carulli with guitarrist Fernando Villanueva, “En Bleu et Or” music by mexican, canadian and Franch composers with Élodie Guillot (viola) and Vanessa May-lok Lee (piano) and “Repensando Gauguin” flute concertos by Eugenio Toussaint and Horacio Uribe.